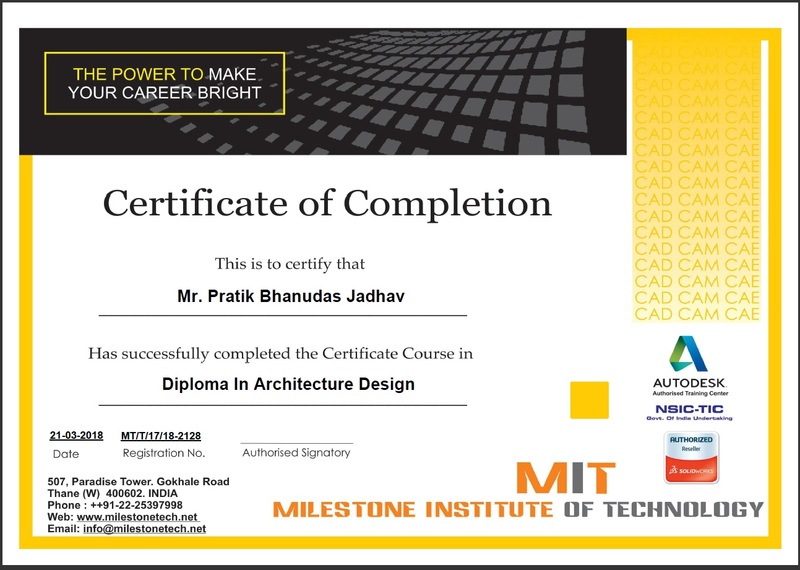 Mechanical Draughtsman is course designed for non-technical persons who want to make their career in Mechanical Design. We teach how to make Mechanical Drawings, How to read those? Course also highlights Section, Isometric, screws & fasteners, Welding, Rivet, BOM and many more mechanical aspects, know how. Create professional Automotive/Auto Ancillary 3d models & drawings. Create parametric solid models and surface models. Apply materials, calculate weight, surface area, centre of gravity. Create Automotive/Auto Ancillary Assemblies, BOM. Create animations to simulate product working. Export as iges, stp, dxf or dwg. Line, circle, arcs, Ellipse etc. Participants of the course have to develop a commercial level web application using PHP, MySQL & AJAX. That web application should be deployed to a commercial web server. 10th and 12th Student and Graduate from any stream. 5 sessions of 1 1/2 hours in a week.